Recent developments in networking such as the Open Compute Project, Software-Defined Networking, OpenFlow, and the P4 language enable the use of open source software with high-performance networking hardware. This talk investigates the state of openness in this hitherto very closed part of the IT industry. Recent developments in networking such as the Open Compute Project, Software-Defined Networking, OpenFlow, and the P4 language enable the use of open source software with high-performance networking hardware. This talk investigates the state of openness in this hitherto very closed area of the IT industry. Until a few years ago, getting any information on network switch or router hardware required an NDA. Getting the required SDK or drivers to write open source software for these devices was impossible, even buying switches with an open operating system was difficult if not impossible. This changed with the introduction of the Open Compute Project and OpenFlow. 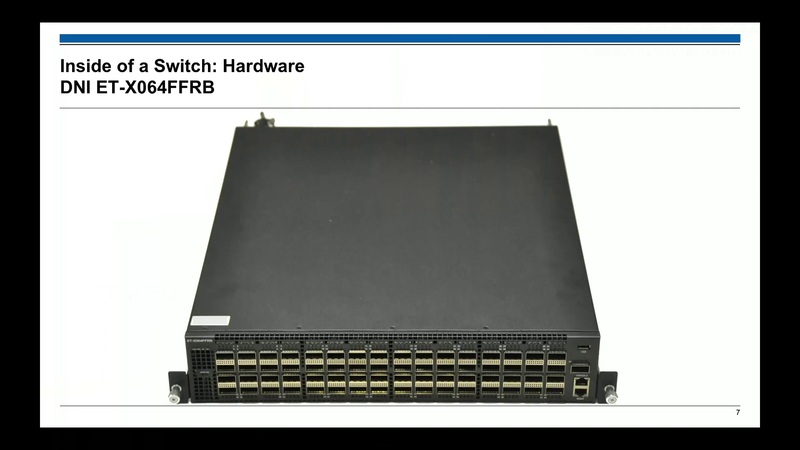 The first introduced pressure on the switch ASIC vendors to open up, the latter provides an API for switch hardware, and comes with an open source ecosystem. As an exemplary result, Broadcom, an incumbent switch ASIC vendor, released open API information on their switch ASICs (SAI, OF-DPA, SDKLT), as well as driver blobs for open source operating systems. This, in combination with bare-metal switches and a standardized OS installer, kicked off a wide array of Linux-based operating systems. In this talk investigates the different aspects of networking hardware and their respective state of openness as well as opportunities for implementing new ideas and open source contributions. The goal of the talk is to spread the awareness of this topic and provide an architectural overview on the area. This talk is based on my experiences during my work as a research assistant in the field of Software-Defined Networking and Networks Function Virtualization at Technische Universität Darmstadt.